NIFTY & THRIFTY. - CRUELTY-FREE BECKY. I shop for clothes mostly second hand now. I'm definitely not perfect, but am trying my hardest to be a little bit more gentle on the planet. Imagine if we all shopped primarily second hand instead of through fast fashion sites and stores? Not only would small businesses/charity shop sales boom, over time we would ease the strain on the environment by reducing the impact of production processes and transport emissions. I recommend watching The True Cost on Netflix. It's a real eye-opener on everything from the importance of organic cotton to worker's rights. Give it a watch and feel awakened. Seriously. 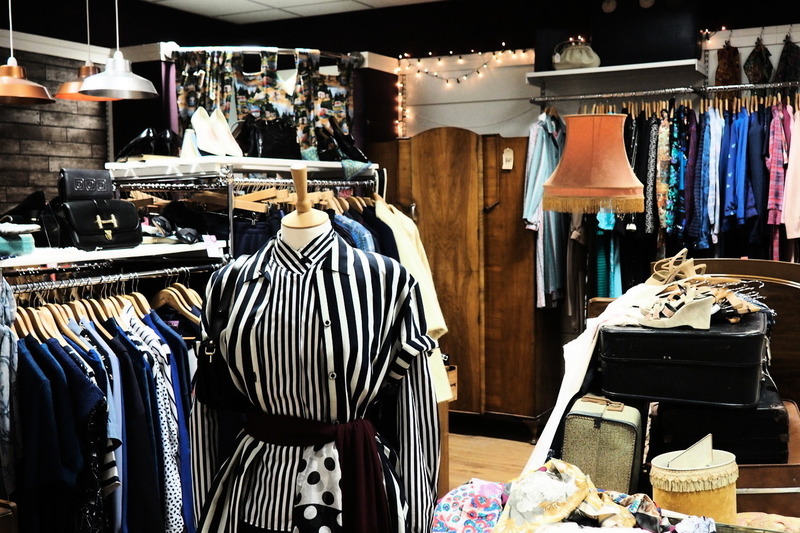 Sue Ryder Vintage & Retro - Nottingham & various other cities. Cow Vintage - Nottingham, Sheffield, Manchester, Birmingham & Liverpool. Braderie - Nottingham & ASOS Marketplace. Camden Market - Camden, London. Columbia Road Market - East London. Portabello Road Market - Notting Hill, London. Kilo Sales (various cities - check your local SU if you're a student). Where's your favourite place to shop second hand?